Are you looking for a pet-friendly lawn alternative where your beloved furry friends can comfortably roam and play? Well, we have the perfect solution for you: artificial grass. You can finally say goodbye to muddy paws, lawn discoloration, and dead spots on your lawn. Why is artificial turf perfect for your pets? It’s durable, never-fading, and realistic! Synthetic grass is made to withstand the roughest of plays, digging, and other activities. The realistic grass blades are also designed to prevent fading from the San Dimas sun rays or discoloration from pet waste. No matter how long it has been, your artificial lawn installation will be the same everlasting green throughout the years. 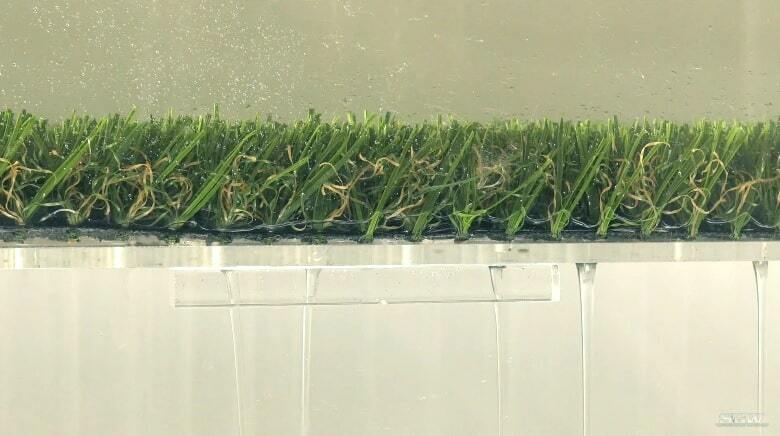 Artificial grass features fast drainage and easy cleanup. 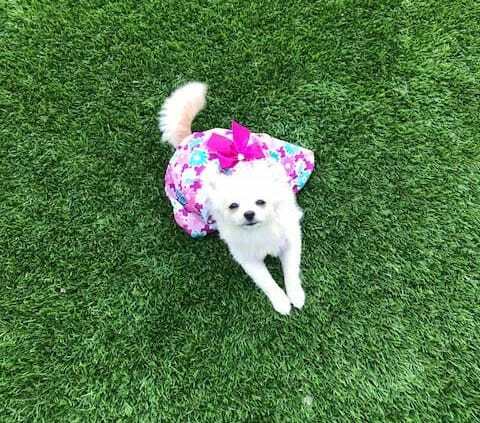 With artificial grass, cleaning up after your pet’s potty break is simple! Solid waste is quickly picked up and rinsed off with your hose. Liquid waste will promptly drain with the perforated backing. Even in the rare times when it’s pouring rain in San Dimas, your artificial grass will drain the rainfall and won’t flood. An artificial lawn is safe and non-toxic. All of our pet products here at Duran Lawn are 100% non-toxic, lead-free, and safe for your pets. 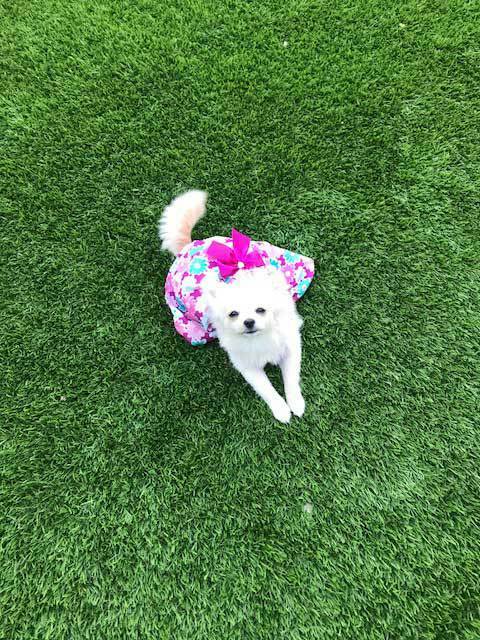 Additionally, artificial grass does not require any fertilizer, pesticides, and other chemicals that may be harmful to your pets. Your furry friends can roam and play freely in your yard without any issues! So what are you waiting for? 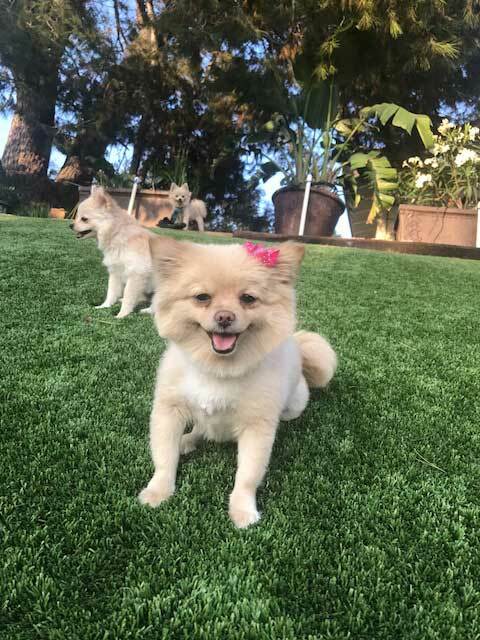 Your low-maintenance and pet-friendly synthetic lawn starts with a phone call to Duran Lawn Creations at (888) 862-8470.